A symbol for the prime days of motorsport. Motorsport and sports watches have quite a few things in common. At the and of the 1960s the competition among drivers and race teams to be the quickest was as fierce as the competition among watch manufacturers to produce the worlds first automatic chronograph. 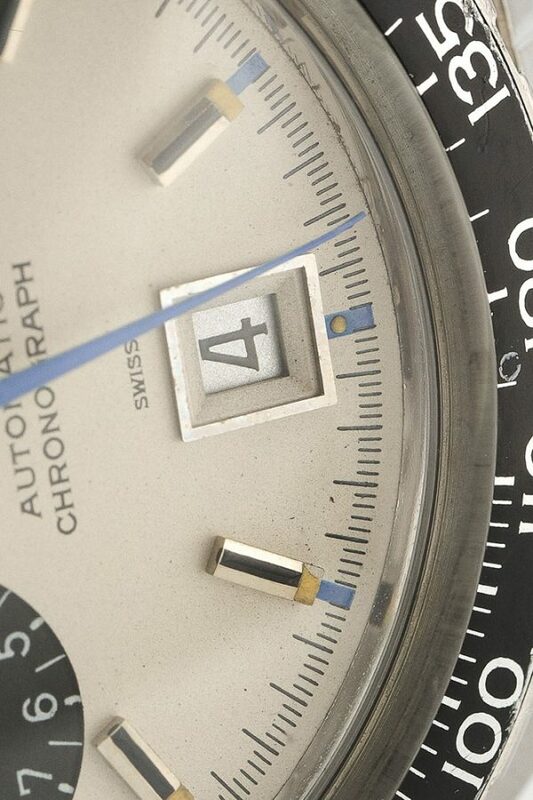 Zenith, Heuer, and Seiko were battling to be the first one to bring the automatic chronograph on the market, and where Zenith may have been the first one to put in their patent in January 1969, Heuer was actually the first one to put it out in the market with the Autavia 1163 later that year. 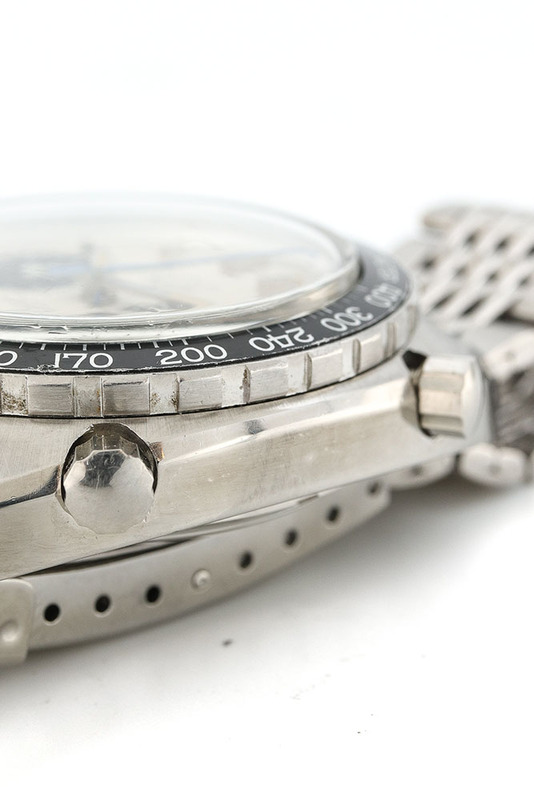 Heuer was already a player to be reckoned with when it comes to sports watches. Since 1933 Heuer built dashboard clocks for sports cars, boats, and aircrafts, and in 1962 the Autavia became the worlds first chronograph with rotating bezel for more specific and practical timekeeping. This watch was very popular among race drivers, who were practically ambassador for Heuer and determined their success in motorsports. Mario Andretti? He wore a Heuer. Jochen Rindt, you guessed it; an Autavia on the wrist. 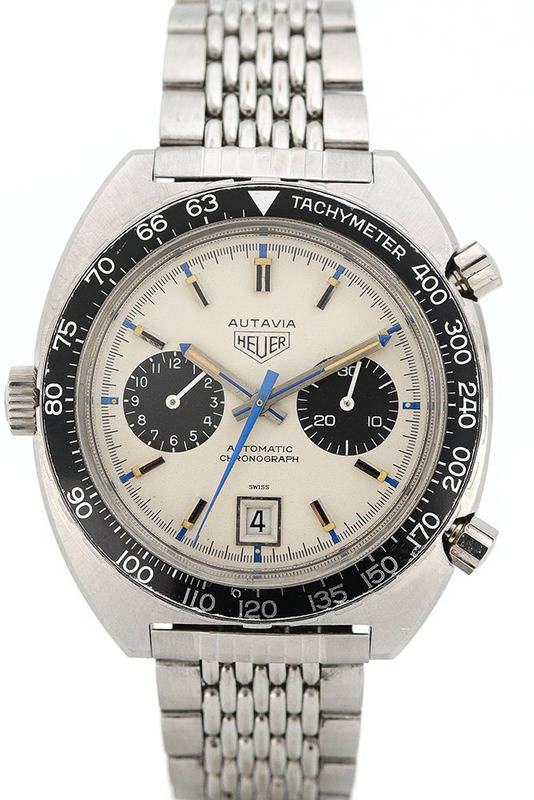 And then there was Jo ‘Seppi’ Siffert, who wore one of the rarest of them all, the Autavia 1163 with a white dial and blue details, and that is the watch you’re looking at. This composition with the white dial is has been produced only about 1000 times and had an ambassador of its own; Jo Siffert. Siffert who was known to be a Heuer fan since the Autavia’s introduction wore his white automatic chronograph with pride until he crashed in 1971. Since that moment his name lives on with the story of this watch. 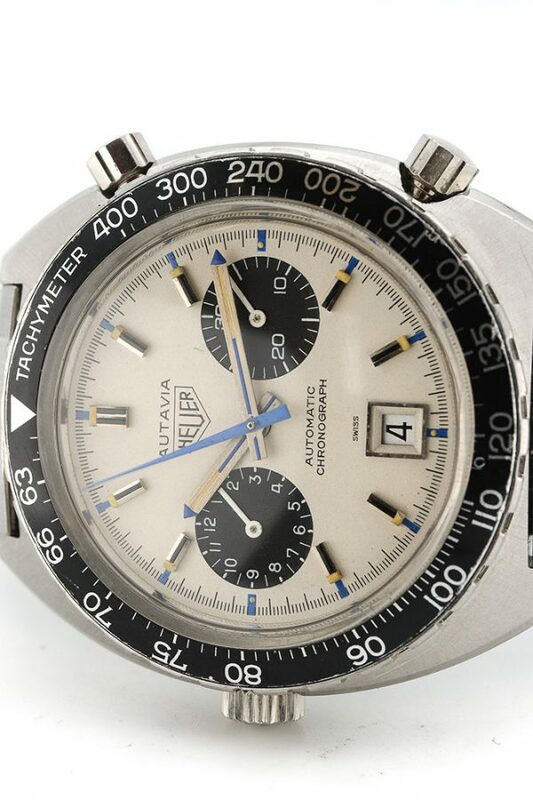 The ‘Jo Siffert’ Autavia might be the most desired 1163 of them all with its pretty panda dial. The condition of this watch is great with just the right vintage character. The tritium dots are all present with a nice creamy patina on there. The contrast of the blue details on the white dial makes the face of this watch sporty and exciting in a way. 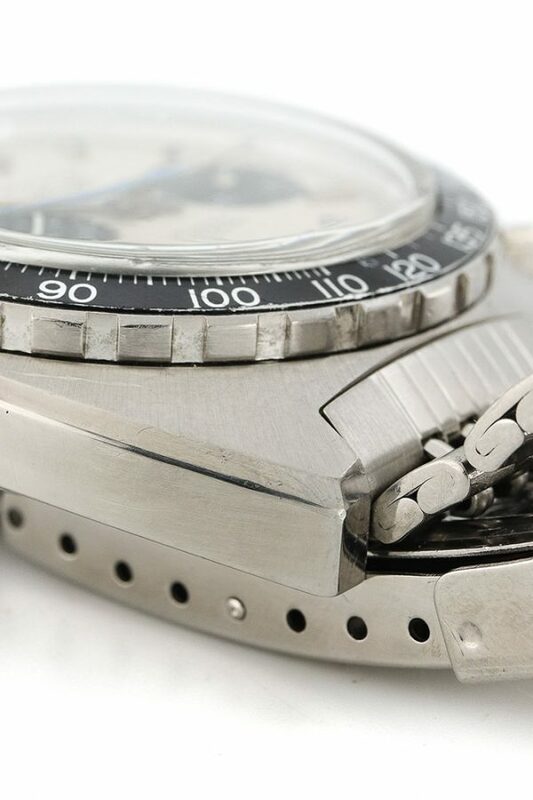 The revolving bezel is still sharp, the tachymeter-ring has a little wear but it looks more like it had a good experience along the racetrack. 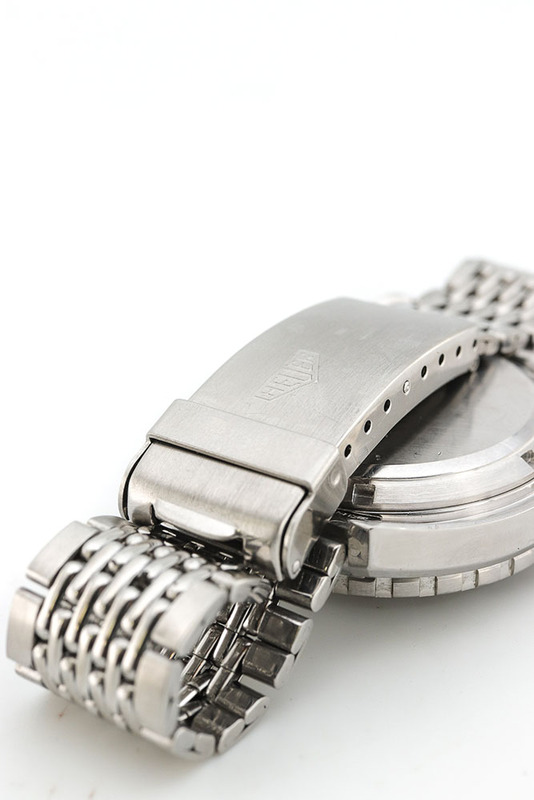 The nice tonneau-shaped case is equipped with its original Heuer bracelet. 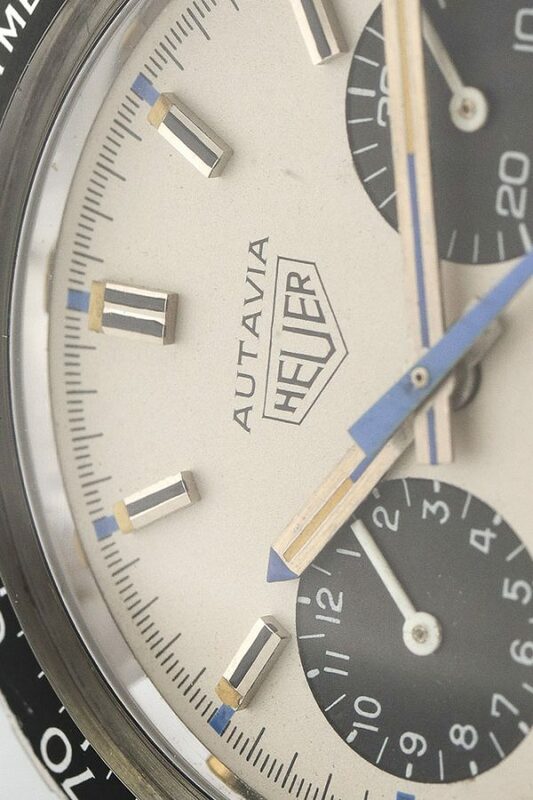 Visit our store to see this cool Autavia among other cool Heuers. We’re located in the Reestraat, Amsterdam.